Since 1854, Poly Prep has helped students become responsible, thoughtful, active citizens of the city and our democracy. Now, however, the unique country day school experience also prepares Poly's students for success as members of the world community. Poly Prep is a co-ed college preparatory school educating students in Nursery through 12th Grade on two campuses in Brooklyn, New York. The Lower School Campus (Nursery through 4th Grade) is located in Park Slope. The Middle and Upper Schools are located on the 25-acre Dyker Heights Campus. James Madison High School is a public high school located at 3787 Bedford Avenue, in the Brooklyn, New York's Madison section with students in grades 9 through 12. It is part of Region 6 in the New York City Department of Education. The current principal is Jodie Cohen. Established in 1925, James Madison has graduated four Nobel Prize winners, famous musicians, authors, sports players, and a United States Supreme Court Justice. Encore Brand is a lifestyle company that produces limited edition clothing, inspired by lacrosse players, with the mission to give back to the community and cultivate change within the culture of the sport. Encore Brand was started in 2010 to help fund the mission of expanding the game and subsequently providing athletic and educational opportunities to under-served communities. In the last two years, Encore Brand has partnered with six other non-profit organizations to expand lacrosse in urban and international communities throughout the globe. Lacrosse is a sport historically perceived to only be available to privileged, prep school communities and has recently moved towards the notorious "Bro" culture; a culture which is rooted in a lack of social responsibility and an egotistical mindset. Our challenge to the Encore Brand Community is to utilize the power of choice within the culture of our sport to positively impact the expanding community. Action is Character. Character defines Culture. Culture defines Change. Headquartered in NYC, Trilogy is one of the Fastest growing youth lacrosse programs in the country. 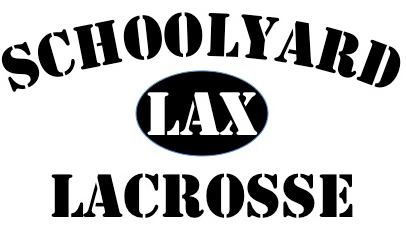 Founded in 2005, Trilogy Lacrosse is a national company with an established reputation as The Leader in Lacrosse Education. First and foremost, they are educators. Their national scope allows them to shape the next generation of lacrosse players on a scale necessary to make a positive and significant impact on the future of the game. Everyone in their organization is united by a passion for the game, teaching, and excellence. A midfielder on Princeton University's 2001 National Championship Team, Robert has played leadership roles for educational programs around the globe for over a decade. Robert has an unparalleled passion for empowering young people through teaching excellence. Widely regarded as the smartest player in the history of lacrosse, Ryan is one of the most dominant players in the world. He's led his teams to championships at every level of play from the youth, high school, collegiate, international, and professional ranks. Currently Ryan plays professional lacrosse for the MLL Boston Cannons and is a three- time member of Team USA. Ryan knows what it takes to be a champion. competing and working together drive our brand and philosophy. Best Optometrists in Brooklyn 682 Union St., Brooklyn, NY. (347) 560-8393 The absolute best way to reach us is to email or gchat us at and we will promptly get back to you. The best way to make an appointment is to use www.parkslopeeye.genbook.com . The mission of SchoolYard Lax is to embrace the assets of the urban environments – walls & tight spaces – and leverage them, transforming local athletes into highly skilled lacrosse players. No other place in the country has the wealth of walls & schoolyards that Manhattan, the Bronx, Staten Island, Queens, Brooklyn, Hoboken, Jersey City & Bayonne have.